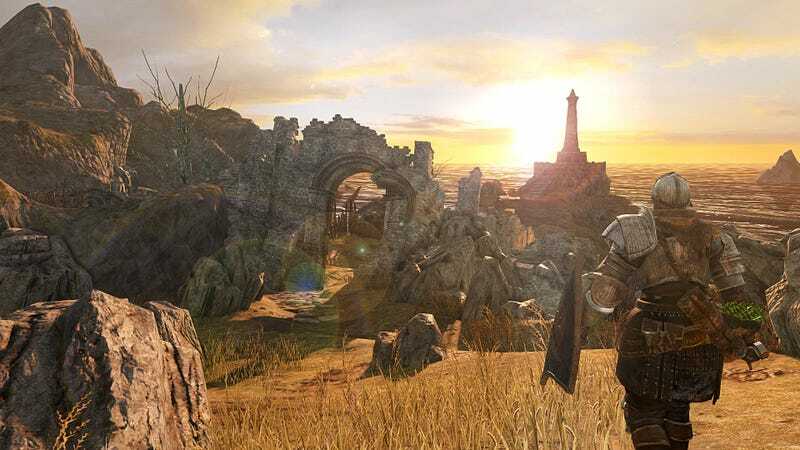 Dark Souls II: Scholar of the First Sin launches this week, but PC owners considering upgrading to the game's DirectX11 version should be aware of a few things regarding save transfers, multiplayer, and upgrade pricing. Bandai Namco released an extensive FAQ to prepare everyone for Scholar of the First Sin, and it reveals a few wrinkles I've been wondering about for a few months now. New enemy placement, map shortcuts, and gameplay design. Graphics, sound, and performance upgrade. New weapons and armor for players to experiment with. New NPC invading player’s world. Max online players up from 4 to 6. PC owners can upgrade to Scholar of the First Sin, but it'll cost you a few dollars. If you already own Dark Souls II and the existing downloadable content, it's only $20. If you only own the base game, it's $30, but you'll get all of the changes and the three pieces of add-on content. If you don't own anything on PC, the DirectX9 version (which, again, has all the DLC) is $39.99 and the DirectX11 version is $49.99. For newcomers, that's a really solid deal for lots of game! Both the Xbox One and PlayStation 4 versions cost $60, and there's no upgrade path for them. Once you've paid, though, there's more to consider. If you decide to buy the DirectX11 version, you save file won't come over and you can only participate in multiplayer with other DirectX11 players. Multiplayer isn't being shut off for previous versions of Dark Souls II, but on the PC, the player base is being split up. "The difference in the DirectX11, Xbox One, and PS4 versions of Dark Souls II: Scholar of the First Sin pertaining to where enemies spawn, items are located, and other environmental differences will not allow players running newer hardware versions to connect and interact with players experiencing the game on older hardware running DirectX9, Xbox 360, and PS3." That's a bummer, but it suggests From Software has performed major surgery on the engine powering Dark Souls, presumably laying the groundwork for the future of the franchise, too. Though Bloodborne is getting the attention right now, I suspect Dark Souls III is coming, too.